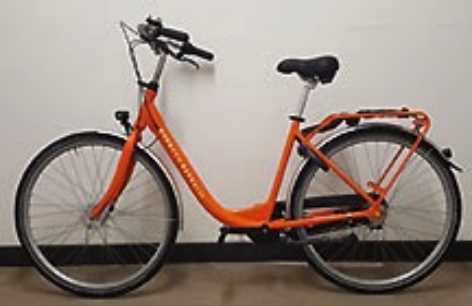 We have bicycles in every size. No matter if you want to cruise in the city with city bikes, experience the Black Forest with mountain bikes or the nearby vineyards of Kaiserstuhl with trekking bikes, or just try out an e-bike. Families will find children's bicycles, child seats, trailers, etc. 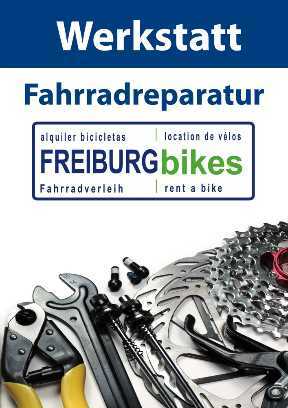 Experience Freiburg like the Freiburg citizens do - by bike! By bike through Freiburg ... To "experience" Freiburg you have to be right in the middle of it, and that is really good on a bike tour Freiburg. 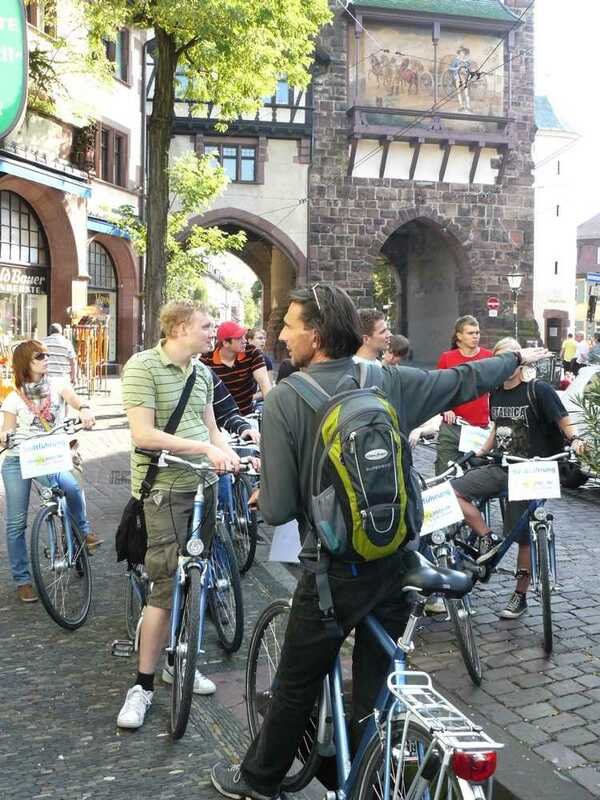 Guided citytours by bike through Freiburg are probably the most outstanding way to get to know our bike-friendly, green and environmentally friendly city. Guided tours by foot in the city center. Tours to the nearby Black Forest and the vinegards of Kaiserstuhl.